Bob Iger is a renowned American businessman, known for his role as the CEOand Chairman of The Walt Disney Company. Born in 1951 into a Jewish family, Bob grew up in theLong Island town of New York’s Oceanside. His father, Arthur L Iger was a WWII veteran and worked withthe Greenvale Marketing Corporation as the Executive Vice President and General Manager. He also taught as a professor of advertising and public relations. Iger’s mother worked in Oceanside at Boardman Junior High School. Bob Iger completed his undergraduate studies at the Ithaca College. He graduated from Roy H. Park School of Communications at Ithaca with a Bachelor of Sciencedegree in Television & Radio. In the mid 70s Iger started off work as a local TV weatherman before joining the American Broadcasting Company. Within two decades of work, Iger earned the title of president of ABC’s Network Television Group. Thereafter, he became the President and CEO of Capital Cities/ABC, the parent company to ABC. Two years after being appointed as President at ABC, The Walt Disney Company took Capital Cities/ABC into their stride and Iger continued office as President until the late '90s. Early in 1999, he was promoted as President of Walt Disney International, and COO a year later. 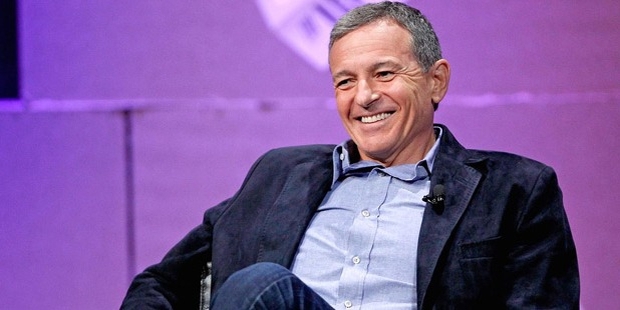 Iger headed Disney as the new CEO within a short span of five years. In 2011, Iger became a Director at Apple. He was also a part of the billion-dollar Pixar acquisition, which led to Steve Jobs joining Disney as a member of the board of directors. 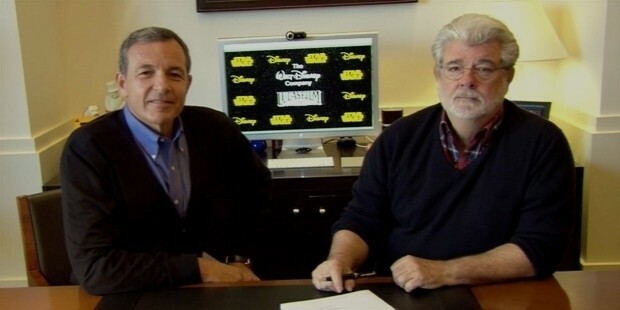 Iger shall hold the post as CEO and Chairman of Disney until 2016, as contracted. A strategic visionary, Iger, led Disney to scale new heights, with the acquisition of three of the greatest companies in the entertainment business. The inclusions of Pixar in 2006, followed by Marvel in 2009 and Lucasfilm in 2012, accentuated the glories of The Walt Disney Company. In 2006-2007, his name was listed in the Fortune magazine as one of the “25 Most Powerful People in Business”. Iger also acquired the reputation of a “Top Gun CEO” in theForbes magazine in 2009. His tenure saw the remarkable accomplishment of the Walt Disney Company being named as one of “America’s Most Admired Companies” by the Forbes magazine. 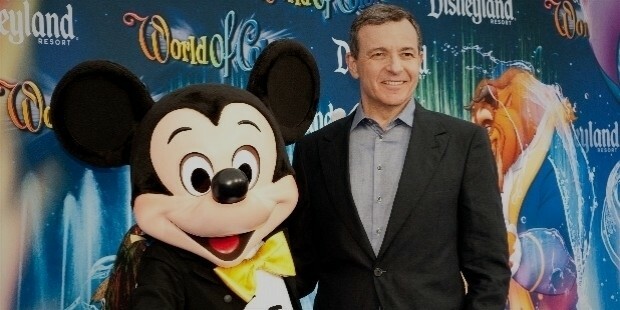 Iger and his former wife Kathleen Susan Iger, who was the Vice President at Al Rokerinto production, had two daughters,Kathleen Pamela Iger and Amanda Iger. The marriage ended in a divorce. In a civil ceremony in Rhode Island in 2005, Kathleen Pamela tied the knot with Jarrod Alan Cushing at the Blithewold Mansion, Gardens and Arboretum. In 1995, in Bridgehampton, New York,Bob Iger married Willow Bay, a journalist, in an interfaith Jewish and Roman Catholic service. 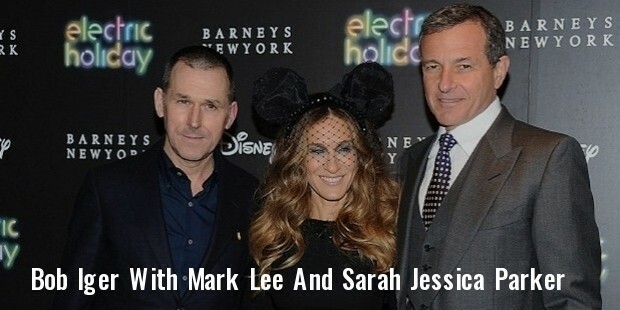 Iger and Bay have two children, Robert Maxwell"Max" Iger, and William Iger.